← Caption Contest 73 Vote! To coincide with our last RPG Corner, your challenge this week is something completely different -- if you come up with the best weapon design, you'll win either any item you like or a portrait of yourself, to be included in the final HeroMachine 3 Alpha program! And bragging rights, of course. The idea here is to create just the weapon, using any pieces from any sets you want except for anything in the Body slot. I don't want to see androids or ninjas ("But their whole BODY is a weapon! "), I want to see something a character would use that exists outside of him or her self to cause damage. Otherwise the rules are as usual, only there's no limit of three this week -- knock yourselves out and submit as many designs as you think are good. Just make sure you post a link to your weapon creation image hosted somewhere free on the web (the UGO forums, PhotoBucket, etc.) as a comment to this post, and you're good to go. I'll judge the winner next Monday. Good luck! Bonus points and special consideration given to weapons that have a name and/or a brief description of them, similar to some of what was posted in the RPG Corner. Are we at least allowed to have a hand holding the weapon so that we can show its scale? No hands! Well, unless your weapon is a power gauntlet or something. But not a whole suit, that’s cheating. I’d prefer you use something else like a pre-existing handgun or the wrench or whatnot. I just mean, half of what made Cloud’s sword was how big it was in comparison to him. You see what I’m getting at? Half of what made the Noisy Cricket from Men in Black so awesome was how tiny it was. This is going to be a lot more difficult without a sense of scale. Can we use a body part within the design of the weapon, say like a fist as the pommel? @Jake: I don’t want this to turn into someone adding a character or a bit for scale, then “well, he’s there, I might as well dress him”, then quickly instead of a “design a weapon” contest you have a “design a guy who uses a weapon” contest, you dig? If you feel like the scale of the weapon compared to an actual person is critical to the design, then I won’t stop you, but the intent of the contest is to focus on the weapon and not on the character. So if you decide to do it, keep the figure as generic as possible. Like, just the basic outline. Ok, that’s what I was looking for. I was just going to have a disembodied hand anyway. Oooh! Does that mean I can enter my guantlet that was on the creation I was going to send a while ago? Also, could we include a robotic arm type weapon thingy? I’d say yes on the gauntlet, no on the whole arm. An arm isn’t a weapon, it’s a body part. A gauntlet can be worn on an existing hand, so it passes. Of course you realize I am making this up as I go. Basically I don’t want people-characters or stand-ins for people, I want weapons. OK, here goes the last effort! The Jaguar Blade gives it’s wielder incredible speed ,stamina and durability.One of six animal spirit blades each giving the wielder a diferent power depending on wich animal spirit.All six animal spirit blades are indestructible. Weapon forged by Hephaestus for the Greek Titan Erebus, God of Darkness. 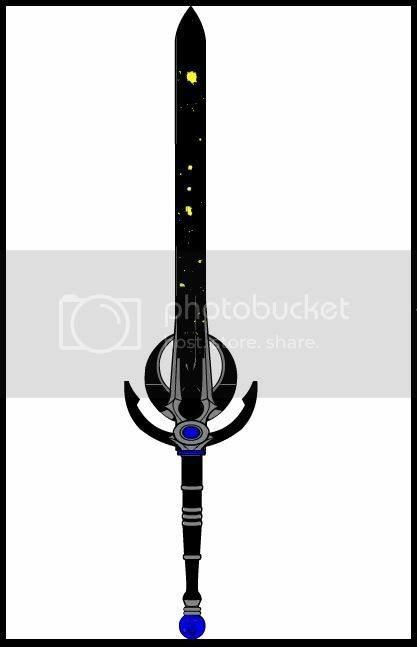 Found in Tartarus (the darkest section of the underworld), this weapon of darkness corrupts the soul of it’s weilder, giving them power over the shadows of the world. 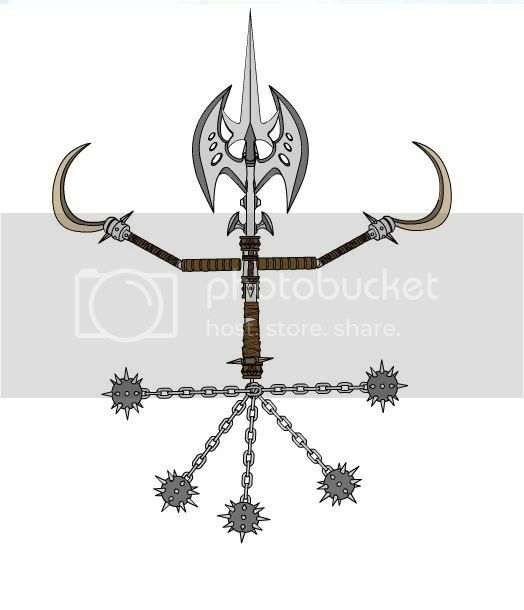 It has an axe on one side and a sword on the other, with shurikens along the sword blade, magically controlled by whom ever possesses the staff. 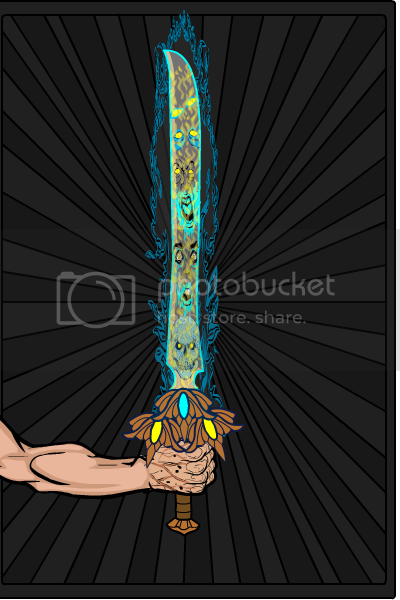 The Staff of Erebus can only be defeated by a weapon of pure light. shuriken shooter or shuriken staf.f can be used as mellee or ranged weapon. i cant say much more now cuz i hav 2 go. @Hebert-san: Can it be a biological/genetic weapon, or do you want something composed of man made inorganic materials? This is a Hell’s Fire Light Saber. It doesn’t have to be technological, but it has to not be a person or a person-shaped object masquerading as a weapon. Ooo, I like that Kaldath! Hi all! Here is my first entry. 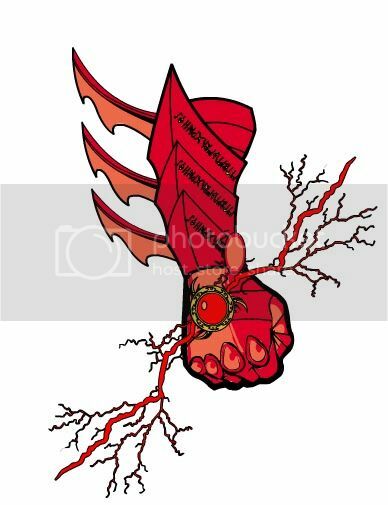 The Devil’s Hand was made by a Satanic alchemist in the 12th century A.D., and grants the wearer invulnerability, precognition, superhuman strength, and fearlessness. The gauntlet also will eventually drive the wearer insane. Once put on, the gauntlet can only be removed by A) cutting off the arm at the elbow or B) the wearer killing him/herself. OK, it did not work in Facebook. BUMMER! Let us see in Picasa. Named the Ziyashir(Lightning Spear) in the Elder Tongue, this weapon was forged by Auleodhir, The Titan Smith, for Venthir, The Titan Lord of Wind and Storm at the Beginning of the Elder War. Venthir used it when , the fallen Titan Beanos attacked the Gates of Pardishos, and he held them, it is said, for seven days. When he fell it Beanos’ hands, Tulmeakos, his dearest friend among the Titan Lords took it up and was able to drive Beanos from Pardishos. 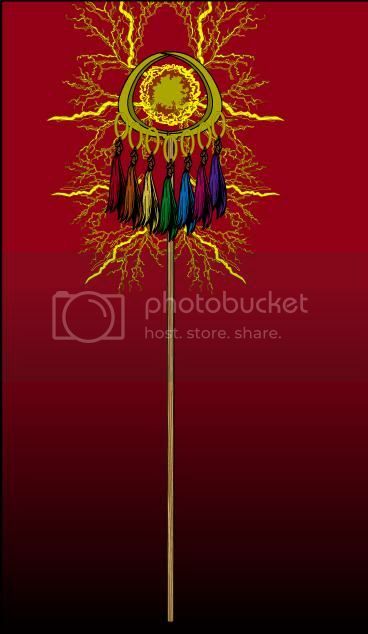 It is said that the spear could be used to summon prodigious storms in the heaavens. Named Grumashtik in the Dark Tongue and Tartaratsos in the Elder Tongue, The Hell Axe was forged by the fallen Titan Lord Beanos when he declared war on his brothers. The axe was said to burn with fire that could cut through anything. Other weapons were known to metal when they came to close to the axe. In truth, it was said only those weapons forged by Auleodhir stood any chance against the Hell Axe. Please do NOT try to post links to Facebook, if you can find somewhere else to host it! Heck, post it in the HeroMachine Forums, if no where else! 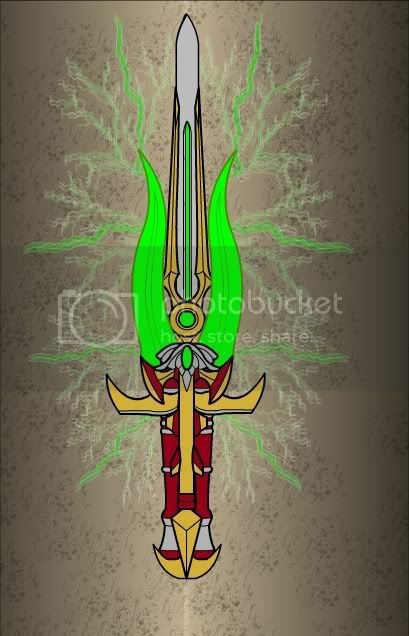 Named Caelaton in the Elder Tongue, The Celestial Blade was forged by Auleodhir at the instruction of Ildhir, The Creator of the Cosmos, for Melrevir, High Lord of the Titans. Melrevir used it in battle with Beanos, during the Elder War. However, when Beanos finally slew him, the sword broke. It is said that The Sword Luaton, wielded by the Elven Lord Vissir was forged from pieces of this sword. The most popular weapon of the year 2110, the B.A.D.A.S.S. fires balls of plasma energy, killing anyone or anything. Before one can us this weapon, one must have a brainchip implanted. The brain sends a message to the chip, which in turn translates and sends a command to the rifle to fire, eliminating the need for a trigger. The rifle is powered by millions of nanotech batteries located within the stock. If the rifle is more than five feet from the brainchip, the rifle will not activate, which means the rifle cannot be used against the owner. A brainchip from one person will not activate the B.A.D.A.S.S. of another. Implanted in the gun is a GPS chip so they user can always locate his weapon. Sensors in the gun can sense if the user is hurt and relay this knowledge to a hospital. Yes folks, I’m an idiot. Folks, I apologize for all those muck-ups. I don’t know how I could have screwed-up the same thing so many times. I tried to post a B.A.D.A.S.S. and ended up looking like a dumbass! I forgot to mention that the sight on the B.A.D.A.S.S. is telescopic, infra red, and x-ray. The year,1834. While his contemporaries are satisfied using traditional firearms, Professor Erasmus Persofficus chooses to build an air powered rifle. The rifle fires lead bullets and can also fire a grappling device. The bayonet is always sharp, and because of the telescopic sight the professor always hits his target. A gauge allows the professor to check the air pressure in the air tank. Forged in the dark days of the Shadow Empire, Soul Drinker was the chosen weapon of the Undying Emperor’s personal bodyguard, Malek Mal’Moriak. After the Empire’s fall, the weapon vanished into the mists of antiquity and was thought lost forever, only to be return in modern times in the hands of a new champion of Darkness. A blood-thirsty spirit is bound within Soul Drinker by runes etched in its blade. Whosoever wields Soul Drinker becomes unstoppable in battle, but is doomed to become a slave to the will of the evil spirit imprisoned within it. The Shield gives the wielder the Eagle Eye the ability to see over vast distances the Sword is super light, super strong and will return to its owner no matter how far away you are. The weapons themselves are part of a larger set of armour created by the ancient Avian race but like the race the armour is long lost. If you’re just removing dudes and not actually changing the weapon that’s fine MartianBlue. 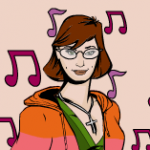 Martian Blue… I’m not trying to speak for Jeff, but maybe you can just go in and recolor the person to a single color, right down to the line color. So, the figure would stay there, but you’d basically have an undetailed silhouette. Thanks, William. I already posted it on Picasa. Thanks a lot again, friend! Thanks Jack, the only problem with that is I don’t have them saved on the program anymore (was on another computer). 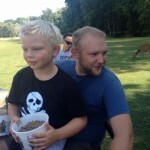 Just the upload on photobucket. Like I said a minute ago, if I do use them, I’ll remake them. Jeff, this is unrelated to the contest, but where on a PC are the characters saved in HM3? 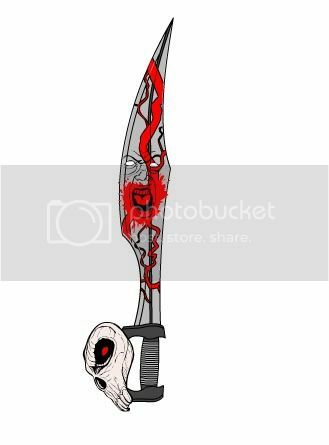 Here is the Skullblade, the sword of an undead general. 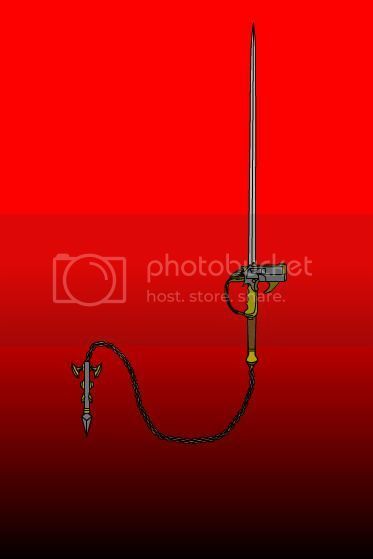 Gentlemen, you ask a weapon of me, and I present to you the Saw Staff! This close combat weapon has been fitted with special monomolecular blades, allowing them to cut through any substance with ease. And no, your eyes are most definitely not decieving you, that is a rocket propeller attached! Yes, with a mere touch of a button, you can eviscerate your opponents from up to a hundred metres away! There is no blade throughout the land that is more famed than the Lektriss.It has been stolen and used by countless men and creatures for it’s power. After all who wouldn’t want a blade that could control electirity. They say it changes for each user, it’s various gems and electricity different every time. It’s current wielder is Mazar Nerroti, the most renouned thief of our time. One of the most prestigous and well known families among the elves is the Lamora Family. Their oldest ancestor, Arrias Lamora had a spear, so powerful, that it soon became myth. This spear is a perfect channel for magic, in fact it increases any spell casted by it tenfold. It has been passed down the family, finding the right bearer. It’s current wielder is Dakaa Lamora, a knight in the elven army. Note: HM3 crashed before I could give it color. That would be why it’s not altogether shadowy. Entry #5: The Dagger of Kilmar. 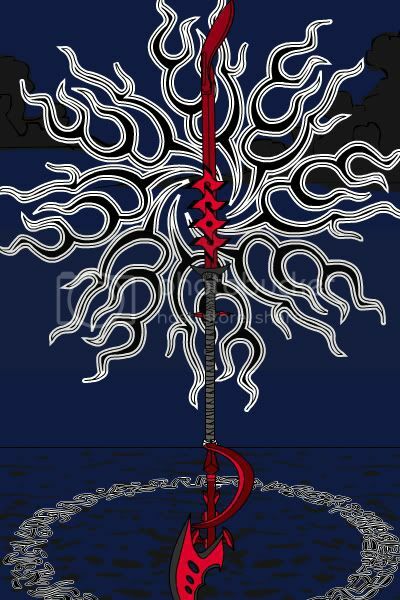 This Sacrificial dagger is a soul drink that absorbs the souls of those who are scarf iced on its deadly blade. Martian, how on earth did you make a repeating rifle? That’s amazing! With alot of hard work, haha. I choose a pic off the internet and tried to reproduce it. I put hours into custom items like that. I actually made that along time ago, for one of my characters in the duo competion. Air powered gun that launches small wooden stakes from a revolver style chamber. The chamber can be swapped out with extra’s for quick reload. The weapon can be chambered for a high pressure long distance shot, or low pressure, short range, rapid fire. A Blessed silver blade in case the Vamp gets too close. Was going to add a background item to these, but wasn’t sure that would be kosher so I kept it simple. This pair of weapons (a shield is a weapon, at least if your using it right) was once wielded by a paladin of legend, a great crusader across the land. Famous for her deeds in the war of the kelp, and eventual martyrdom at the hands of the arch daemon Amsodea. Her great weapons, said to be imbued from their long standing use channeling her holy energies have taken upon aspects of the wind and sea. The swords blade is nigh translucent when swung, moving with such speed no eye can trace its path. The shield crashes upon opponents with a force similar to the pounding waves, wearing down any it is used against. They have appeared a few times through out history, always near the sea shore and in times of great strife. They are fated to return in the times of the Chaos Storms in the hands of another champion, only to be destroyed defeating Amsodea, avenging their original wielder’s loss. Hope that backstory makes sense, I’ve got an idea of what I’m meaning to say, just not sure if I’m conveying it a’tall well. Backstory written in the caption of the weapons. According to legend, the Kirian Gauntlet is an ancient artifact that grants its wearer great power. As usual, the true story is a little different. The gauntlet is not a source of power, but a prison. Trapped within it is an elder evil, an ancient and wicked thing created by the gods themselves to be used as a living weapon against unimaginable enemies. After the end of the Age of the Gods, the nameless thing was locked away within the gauntlet where, its power muted, it slumbers and dreams unspeakable dreams. Heroes have guarded the gauntlet throught the ages for fear the forces of Chaos will gain possession of it and release the terrible thing imprisoned within. Even asleep, the evil within the gauntlet is aware enough to try to control anyone foolish enough to wear it, offering them gifts of power but eventually overwhelming and enslaving them to its insidious will. Here are a few old ones. The Angel’s Wrath was forged in the heavens. Nazi scientists attempt to counteract Captain America’s shield with their own shield. When thrown the shield tracks its victim and fires sharp blades at the target. If the shield should run out of blades, the sharp edges of the shield can wound and/or kill the victim. When finished, the shield returns to the user. Made for a ruthless Greek general by a sorcerer, the magic shield entangles the limbs of the opponent and pulls him into the sharp spikes. The spikes easily penetrate the opponent’s armor. While investigating a newly discovered tomb in Egypt,archeologist John Matheson is attacked and left for dead by tomb robbers, who seal up the tomb’s entrance. Trying to find a way out, John discovers a secret room containing a bow, quiver, and arrows. A tablet next to the archery set explains that the archery equipment was made by a priest and blessed by the god Osiris. The tablet also explains that when the arrows are fired from the bow, they never miss their target. While holding the bow the wearer is invulnerable and can fly. Desperate to escape before the air is depleted, John takes one of the arrows from the quiver and strikes it against the tomb wall. To John’s surprise a hole appears in the wall. Realizing he has a good thing, John takes the archery set and escapes through the opening in the wall. John believes the archery set can be used to right wrongs and fights crime as the Phantom Archer. 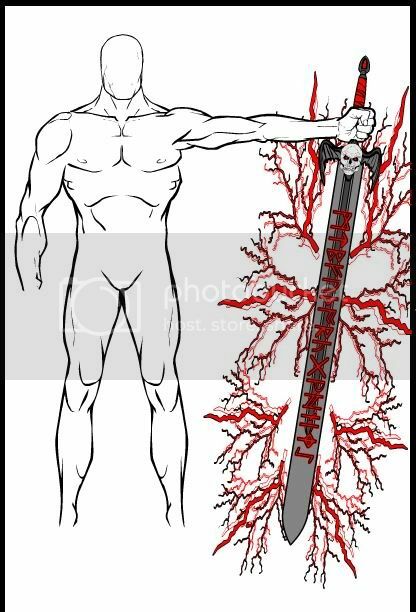 The Soul Sword absorbs the soul of it’s target and transfers the target’s knowledge and fighting skills (if any) to the user. The Doom of Men was the great cleaver wielded by the black knight Faschal when he served as champion of Lord Devoris, the legendary Bringer of the End of Days. Centuries after the final conflict between Devoris and his half-brother, the holy Incarnate, Faschal was resurrected by the lich-king Nazgoth to lead his undead hordes. To make Faschal even mightier, Nazgoth cast many dark enchantments on his weapon, the Doom of Men, the last of which bound Faschal’s own soul to the blade. As a result, Faschal cannot rest until his soul is freed by his master. A suit worn by a martian from the planet Pluto that visited earth. The martian was killed and the suit was taken under the control of the Russian government. The science behind the suit was too high tech. to be comprehended by human mind, but its basic function had been discovered. Such as flight, underwater breathing, space travel, cloaking, super strength, and the ability to freeze an object it touches in solid ice. The Vampire Slayer 1889 stood the test of time for over a century. No other weapons smith was able to build a weapon capable of firing a wooden stake with power and accuracy. The Slayer 2000 was developed by Vampire hunter and Weapon smith Nicolai Harris. He developed a round that utilized a sabot around the wooden stake to protect it from the Gunpowder blast. Once the Powder in the shell is ignited, the sabot propels the wooden stake out of the weapon, then the shells of the sabot fall away leaving the hard wood stake to travel at high velocity. Giving the weapon Power, accuracy, and range never seen before in a Stake Launching Weapon. This one is decorated with the fang of first Vampire Nikolai slew with it. The Ultimate in Sniper Rifles. The MagnaTrexic system enables perfect shots everytime, and The improved UltraSniper 2.0 automatically reloads, zooms, autolocks and can fire at multiple targets at the same time. The K-Type is the most advanced in the X-VXF gun range, with 15 miniguns and 30 barrels, with each barrel compatible for many different types of bullet as it can change thickness to suit it. The Periscopic zoom in front of the trigger enables you to shoot round corners, and two detachable flamethrowers for those tricky situations. @Fyzza: How many different kinds of bullets will that thing hit you with when you pull the trigger? Talk about overkill! This weapon of legend brings to the battlefield all the light of a miniature sun. If you plan on wielding it, be sure to wear sunscreen. Long after the Great Collapse, guns and bullets made in the 21st century no longer worked, so people improvised weapons to protect themselves from the scavengers and the warlords. When the masked crimefighter the Angry American twists the handle on his baseball bat it transforms into a blaster! The Slugger is made of tough composite materials. To fire the weapon the user squeezes the pressure sensitive handle. Gero, theres individual triggers there if you look closely. my third entry, a two barreled blaster. Forged by the goddess of fear, Arachne, the Spider Blade increases the wielder’s strength and sense of touch dramatically. It also enables them to control spiders. a posion dart launcher, you may have to turn your heads, because when i tried rotating, it screwed it up. Favored side arm to the B.A.D.A.S.S., the Dominator is powered by millions of nanotech batteries located within the grip. The Gauntlet of Kell. In the hands of anyone, it is capable of creating massive blasts of Eldritch energy. In the hands of someone that knows it’ s secrets, it is capable of manipulating the elements, light, gravity, and shadows. Baseball Bat with a dagger at the striking end and a pistol at the side. Didn’t post properly last time!! I am resubmiting the Vampire Slayer Model 1889. It was bugging me. @The Atomic Punk: The Hate Bug? @Danny: Everyone’s got to have an evil twin. I thought Doom Buggy would work better in a 1960s “Gidget” / MST3K-inspired theme song. o/~ Yeah, yeah, yeah… Doom Buggy! Okay, a couple more blades. The first is Deaths Kiss – She is a sentient and powerful Rune Sword as well as a Soul Drinker. When Deaths Kiss strikes, the victim feels Pleasure instead of pain. Which usually stunned them into allowing further strikes…until the sword had fed well…..
Next up is the Witch Slayer. Killing witches and trapping their spirits withing the blade, giving it more power…and it’s wielder access to the Witches knowledge to aid in the hunt…. 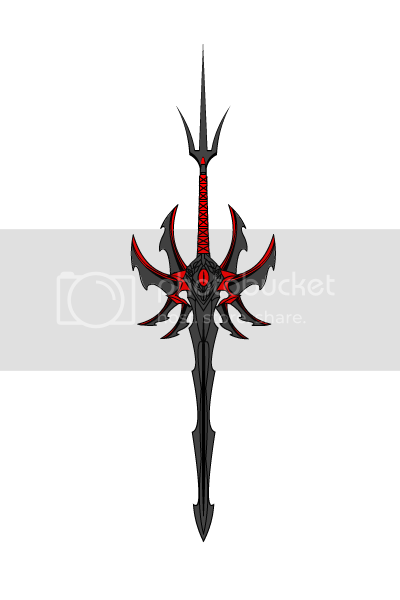 and lastly…..Well I’ll just say that this is the Nameless Blade. For even uttering it’s name might drive you to insanity. It may look like it is more dangerous to it’s wielder…but as long as it is well fed, everything should be fine. The Burler– It’s all very well to be loaded for bear, but with the contraption nicknamed the Burler, you’re loaded WITH bear. I’d like to add that I’d really like to own one of Fyzza’s BaseballBatDaggerGuns. And I’m guessing Axe Cop feels the same way. @spidercow2010: I can’t “bear” such a “grizzly” device as the Burlur, although seeing it in action would be a true “Kodiak” moment! Perhaps some “cub” reporter will report about the Burlur. With function : gun, flame thrower, retractable bayonetta and sonic weapon. I seriously DO NOT stand a chance against some of these entries, especailly some by Gene, with the tremendous amount of detail in them. @spidercow2010: Thanks 🙂 Tbh it started out as a guitar case machine gun with a dagger at the end, but it didn’t work so I turned it into a baseball bat dagger gun instead. A.W.E.S.O.M ARSENAL a weapons tower. Dragonslayer is a mystical weapon used for killing dragons. The Excaliber is a long range riffle. I bring you…or it comes on it’s own, it’s hard to say…. Demon Seed. Demon seed was from an Old Shadowrun campaign I ran back in first edition. Demon Seed appears and feels like it is made from something other than steel…Bone perhaps? It is hard to say, as it is still as strong as steel. When the victim….er…Character uses Demon seed in battle, he is more sure of himself, and tends towards going for the kill shot…even if the situation does not demand it. On a killing blow, the victim of the blade is absorbed into it, leaving nothing (Not even it’s soul) behind. After the blade is plunged into it’s sixth victim it holds on and begins to burrow in. The victim transforms, skin splitting, bones reshaping, skin turning red, and giant bat like wings sprouting out on back. If the demon is slain, then the body erupts into flame, leaving the Demon seed blade behind in a pile of ash. Oh, and @ Fyzza – Thanks! Remember those old Buck Rogers and Flash Gordon serials and comics? Remember how the future was supposed to look? We were all supposed to be living in domed cities on Mars. We were all supposed to have flying cars. And the weapons were supposed to be mind-numbingly scary! Disintegration rays, shrink rays, freeze rays, etc…and of course, the Death Ray!!! So this is my concoction. Something with a bit of a “Golden Age” twist to it. I know it’s a bit different than what most people have posted, but it was a lot of fun to make. Hope you get a kick out of it. Here is a last minute entry, a Volden War gauntlet. The Voldens are a warrior race who has access to the best weaponry around. One of their most fearsome weapons, however is the war gauntlet. It allows them to manipulate and fire energy blasts. I know this isn’t much, but here goes. This, the Gattling Geist, is a jetpack with two gattling guns and a forcefield.